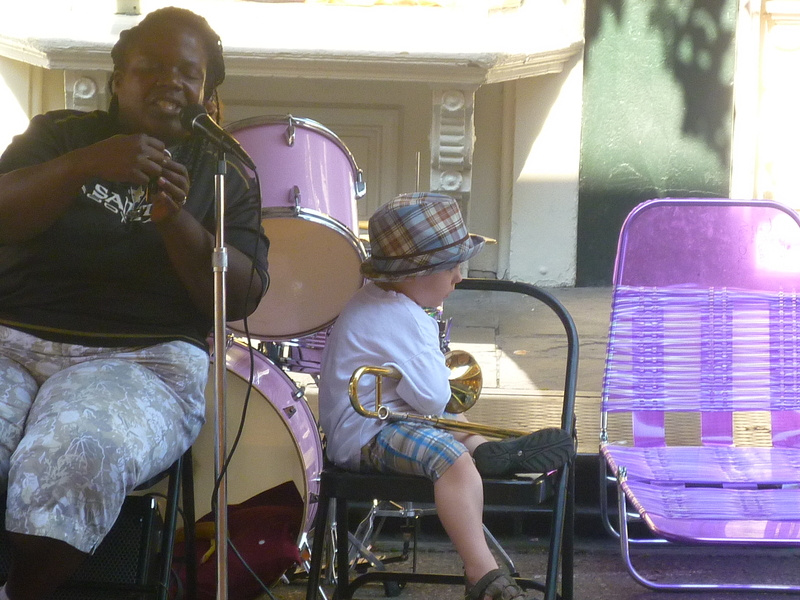 On our first morning in the French Quarter, we happened on this curious quartet: a soulful African-American woman singing and playing clarinet, what looked like her daughter, aged about eight, on a pink drum set, a fabulous guy on rhythm tuba behind, and this odd little white kid hanging around with a trumpet. He didn’t play while we were there, but once did a sort of shuffle towards the spectators. She sang and then went into what seemed like effortlessly soaring clarinet – listen to it here. And that was just Day One! Later, at DBA, a club on Frenchman’s with free or very cheap entry, we heard Glenn David Andrews. Glenn had a colourful past, we were told, had been in prison and stuff, but was getting back in touch with the community and had appeared in Treme, the HBO series we loved, along with his cousin, the fabulous Trombone Shorty. Wearing a t-shirt and boardshorts, Glenn didn’t look as cool as his backing musicians – but once he started playing that trombone, we were gone. He came down on the floor to sing Happy Birthday to a friend, brandishing and working the instrument and sounding like a young bull elephant about to charge. And funny too – ‘ I want y’all to dance – even you white folks’. 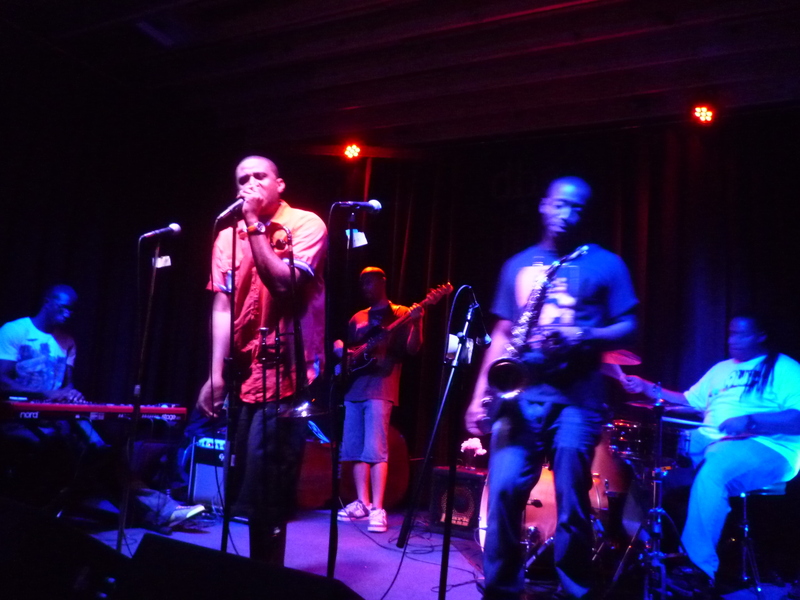 For energy, soul and pzazz, he was the best live act we’d ever seen – until the next night, when the Treme Brass Band played the CandleLit Lounge. b) emergency relief was slow and inadequate, because New Orleans folk were largely black and poor. Can’t imagine the same pathetic response happening in Boston or New York, eh. We stayed with a lovely couple in Treme, Michael, a native New Orleanser, and David, a ‘convert’ from New England. They were lucky – they ‘only’ had about four foot of water in their home, a converted corner pub. David cried when I asked him about the casualties. The numbers didn’t even depict the reality, he said. So many folk died later, due to fractured families and broken hearts. The effects were felt in little ways for so long – like the fact that two years after Katrina, inner city residents like David still did not get mail delivered to their home. I found that astonishing in a country as rich as the US – but here’s David, telling it like it was. 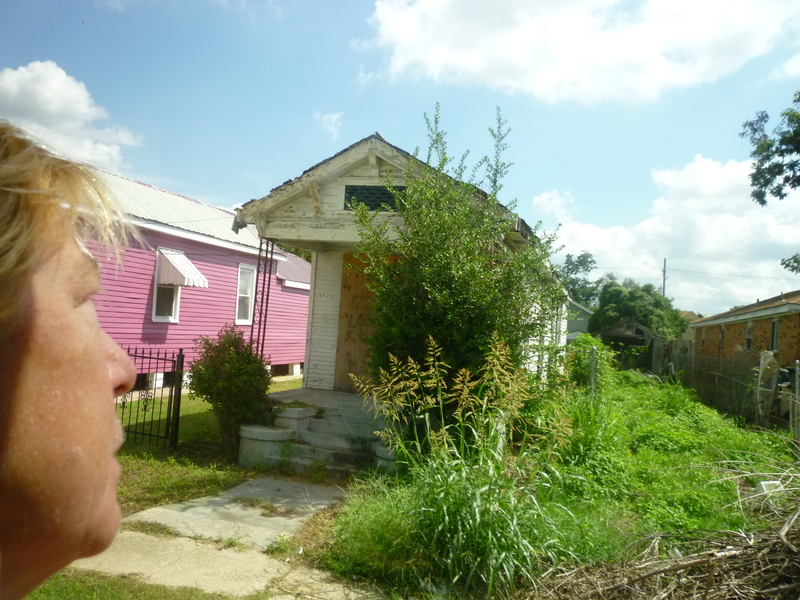 Homes damaged by Katrina - and vacant lots where homes razed.